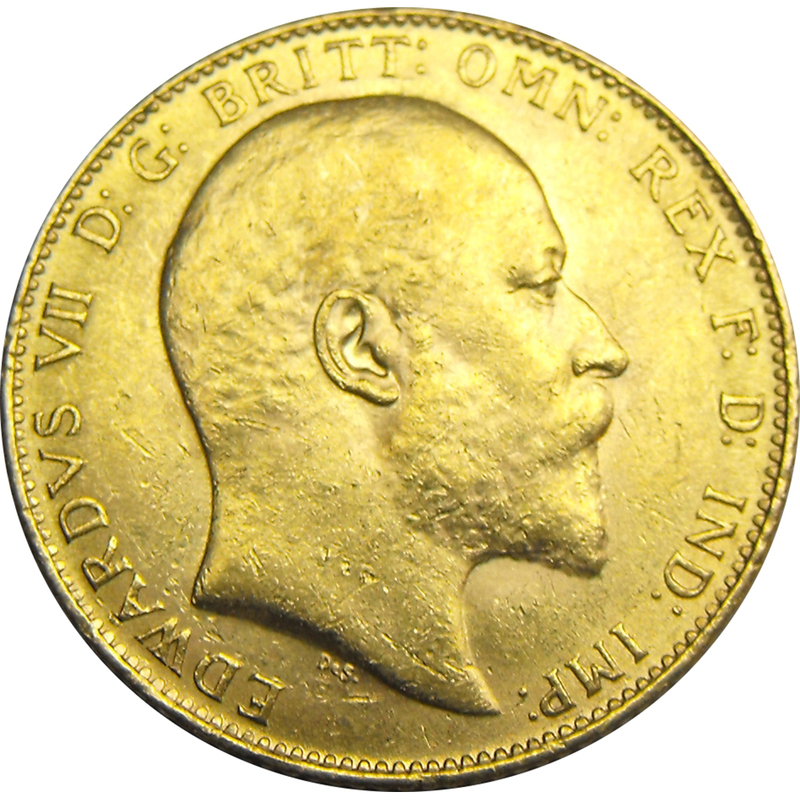 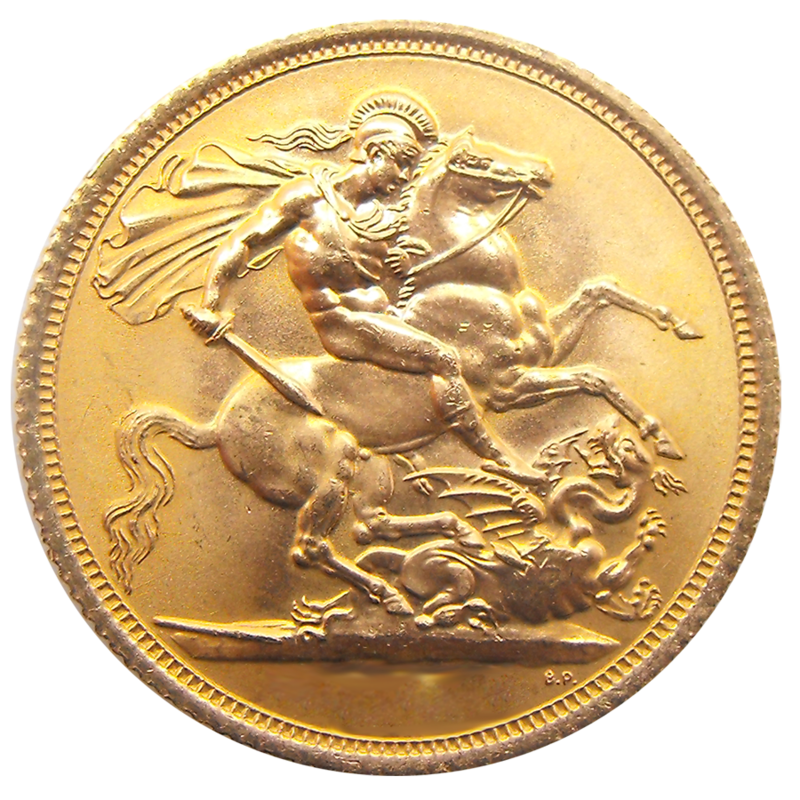 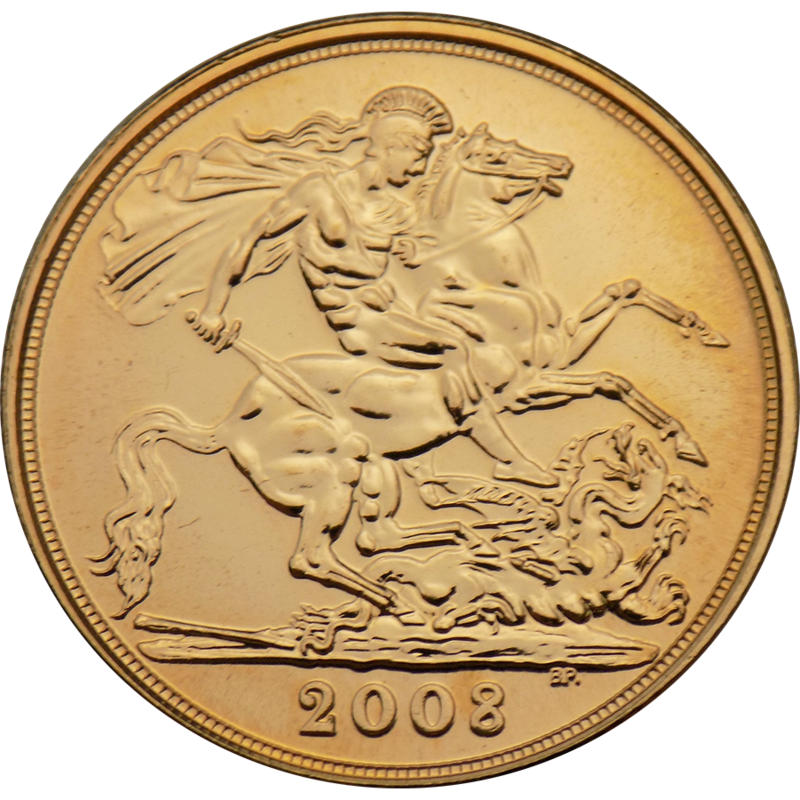 The Pre-Owned 2008 UK Full Gold Sovereign features Benedetto Pistrucci's George & the Dragon design, the year of the coin also features. 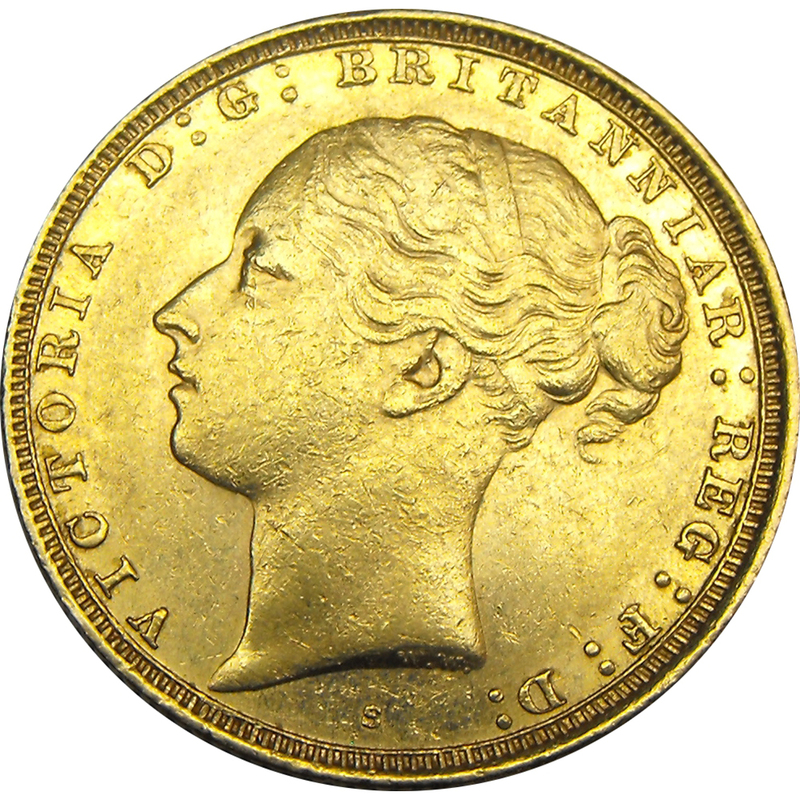 The obverse depicts Her Majesty Queen Elizabeth II. 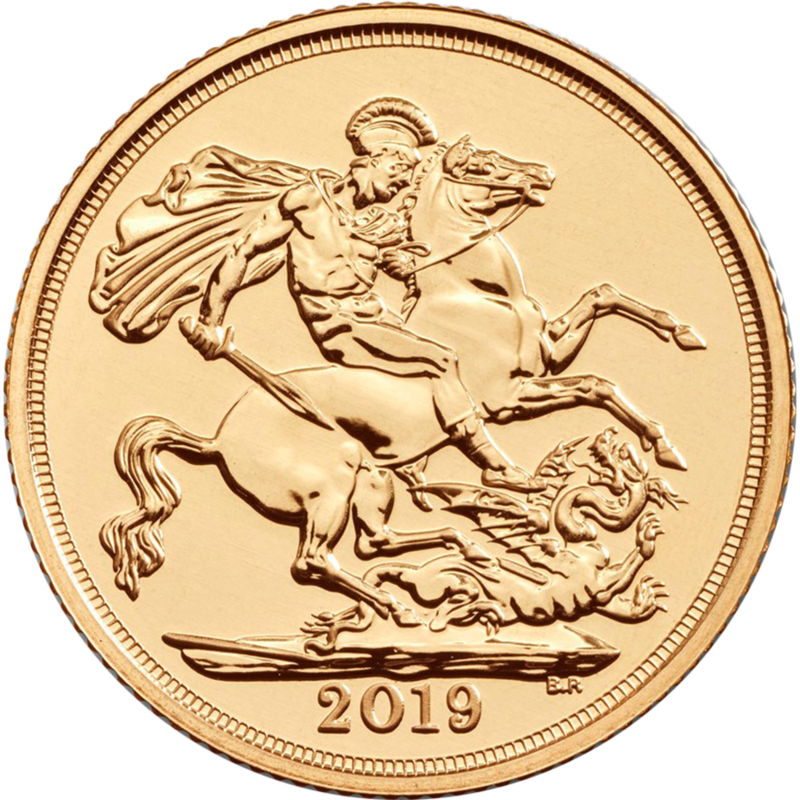 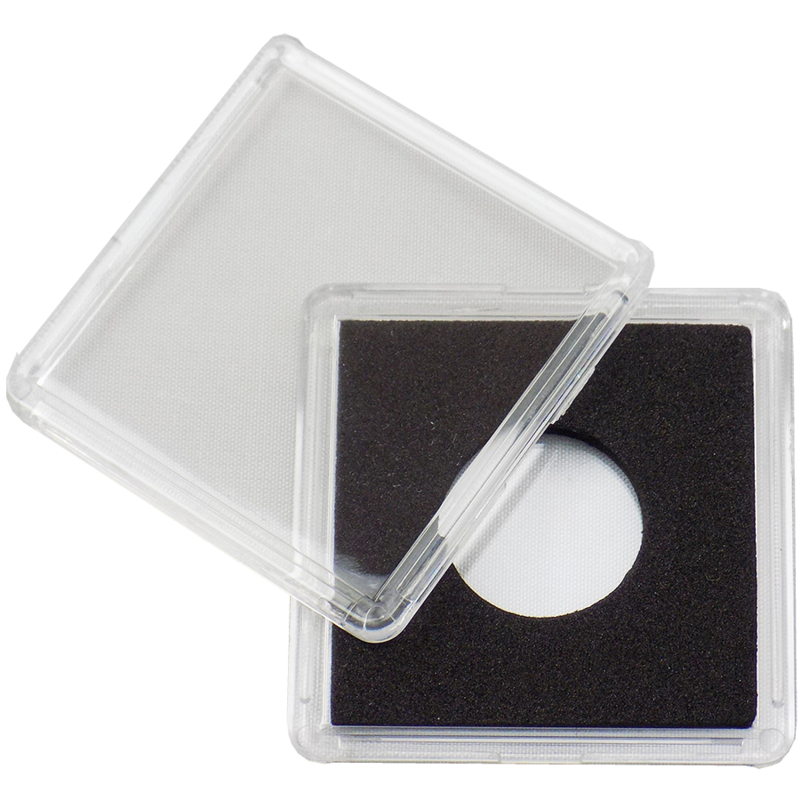 Minted by The Royal Mint, UK.